Throughout school and adult life, primary influences have been spiritual, comparative religions and cultural studies. Her paintings have been created on many kinds of surfaces as well as objects. Some of these include paper, canvases, found objects, constructed wooden panels, sculptural surfaces, and clay tablets. Many paintings are layered combinations of collage or with some surfaces such as the clay tablets, drawn into, manipulated, pierced, overlaid or textured. 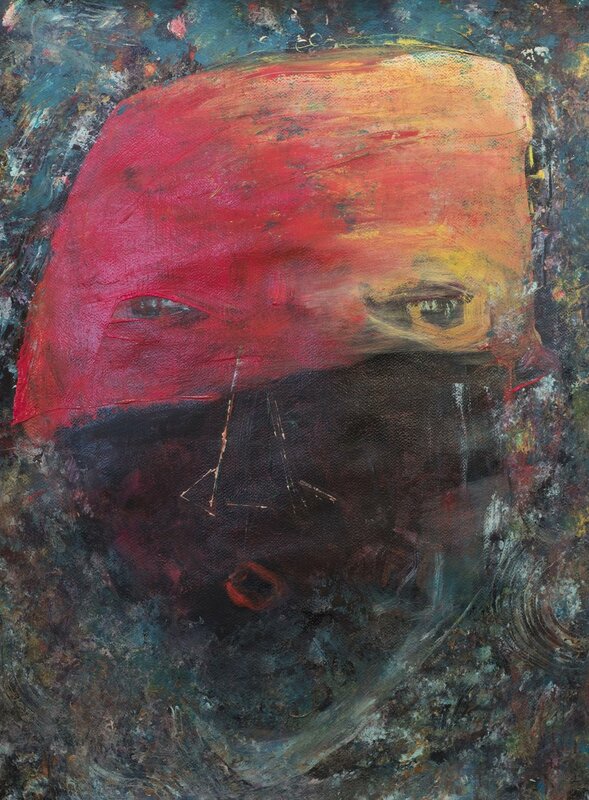 Recent works represent a new approach to a long-term interest in the subject of heads/faces. They can not truly be categorized as portraits because they are not about recording a person’s likeness or a rendering of a model. They are more often a start to the composition, sometimes quite concrete in appearance. Often though, the study of the head is a beginning, leading to interplay between figure and ground or even dissolution of the figure itself. 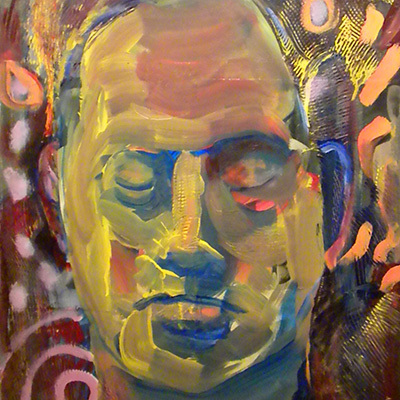 Some of the images of heads and faces in the new works are more directly portrait-like. Some refer to ancient Greek masterworks or Classical mythological themes, the fragments that come down to us in time.